This product is Vegan and is Gluten-free. 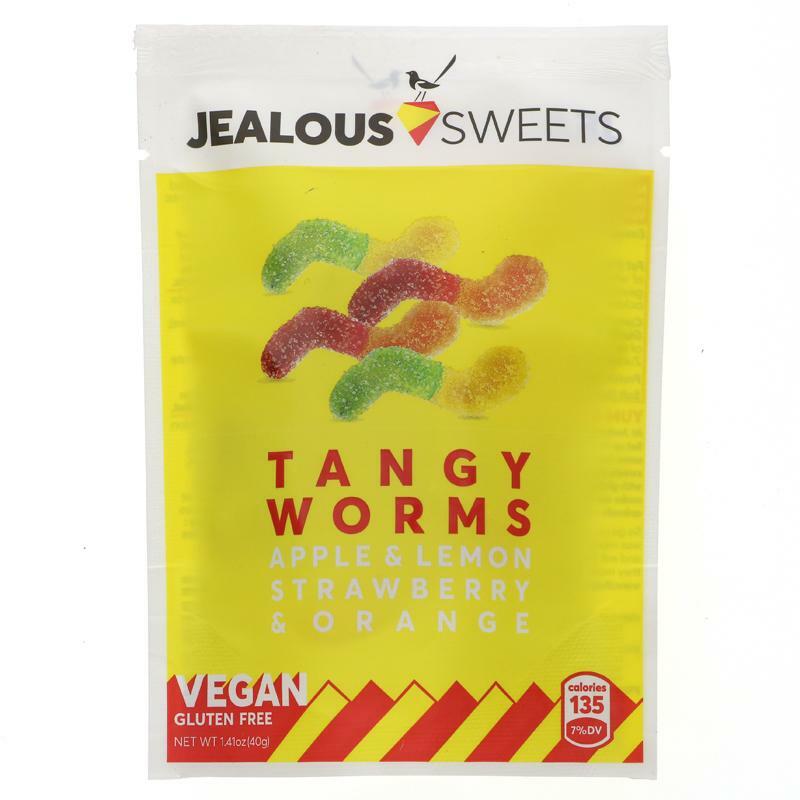 Tangy worm fruit gum, ingredients: cane sugar (unrefined), corn syrup, corn starch, acidulant (citric acid, lactic acid, apple acid), fruit juice concentrates (morello cherry, pineapple, apple, orange), acidity regulator (sodium citrate, calcium citrate), colouring fruit and plant extracts (pumpkin, apple, elderberry, alga, curcuma, safflower), gelling agent (pectin), natural flavours. this product may contain traces of wheat. the amount of gluten is below the threshold of 20mg/kg which is suitable for a gluten free diet. packed in an environment that handles nut ingredients.